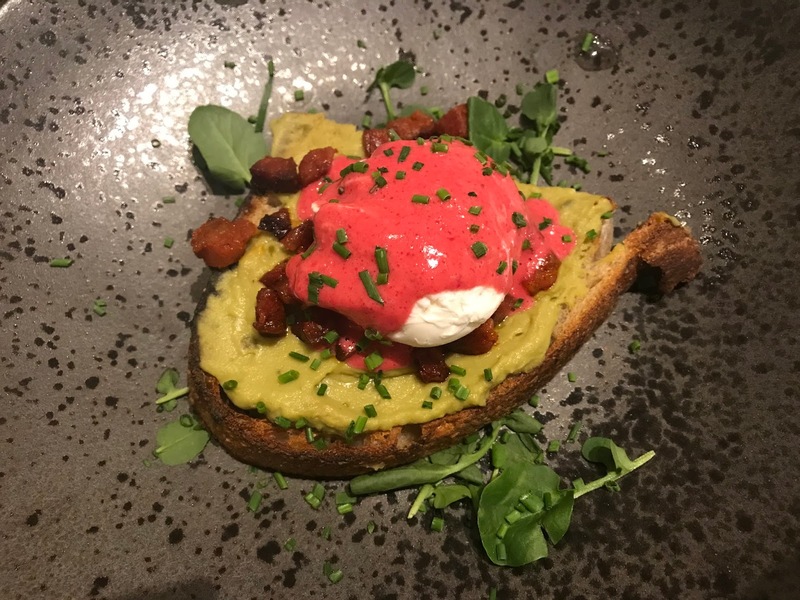 There's a new Brunch spot in Birmingham, and seeing as Brunch is not only my favourite meal but also one of the best things ever invented, I had to go along and see what Wayland's Yard is all about. Wayland's Yard is already a popular venue for breakfast and lunch, and of course 'brunch' dishes in Worcester, but it has now also set up shop in Birmingham, much to my delight. 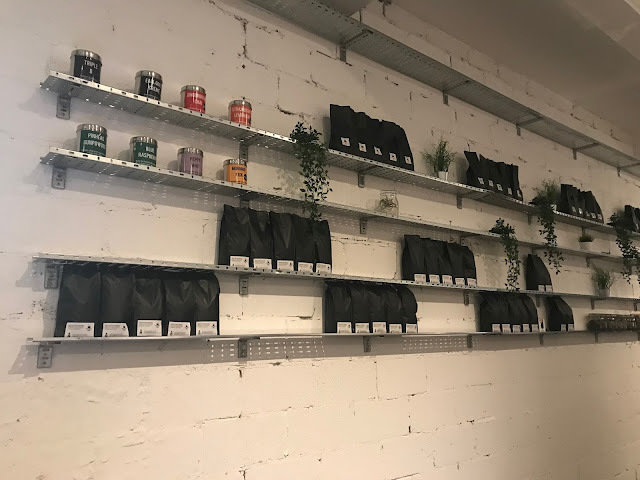 Promising 'proper coffee and proper food', the new spot is on Bull Street, just off Colmore Row, and it is definitely worth a visit. 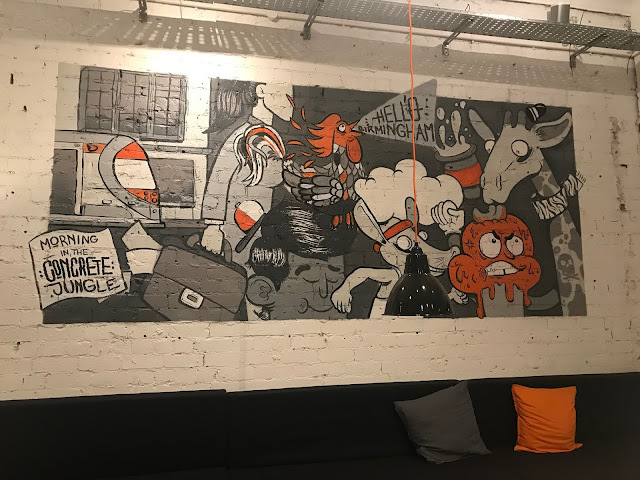 The decor is super cool and industrial inspired, with the occasional bold colour and fun art print. There is also a resident dog - which was, obviously, my favourite part of my experience at Wayland's Yard. The venue is sleek, simple and it is really is all about the food, which does not disappoint. I would love to be able to tell you how amazing the coffee is, but I have something to admit. I DON'T LIKE COFFEE. I know right?! I suffer shocked faces on a weekly basis when I have to admit this. But the taste is something I have never liked, and I am just more of a cup of tea kinda gal. However, the venue has a whole host of drinks to enjoy other than coffee, including Turmeric and also a super cool raspberry tea which changes colours, which comes served in an equally unique teapot. There is of course cold juices to enjoy too. The food menu includes breakfast, brunch and lunch options, with choices for everyone from meat eaters to vegans, and all in between. 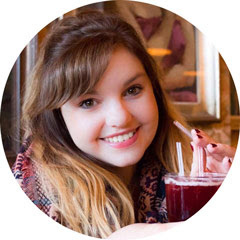 There are super healthy options that will really give you a good kick start to the day, and there are also some down right naughty options, which I was all over, including an incredible range of pastries. The staff are also very attentive, and are happy to make the food to your needs, which in my eyes makes the place as special as it is. 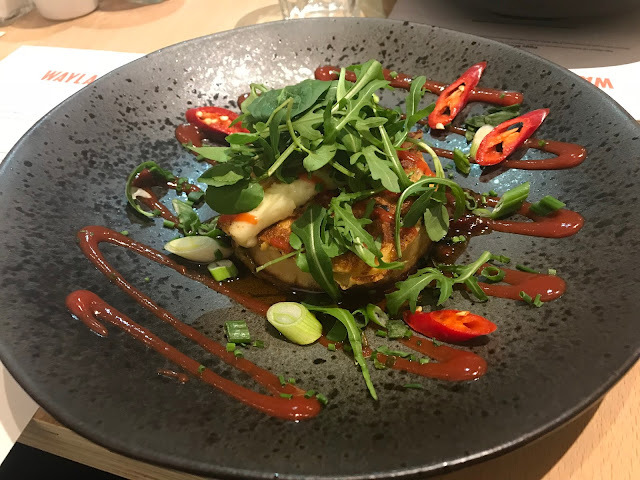 During my time at Wayland's Yard, I was fortunate to be treated to three different Brunch dishes which meant hello food baby! However, the food baby was totally worth it. We started with Eggy Crumpets. Wow. I'd go as far to say that Eggy Bread is one of my favourite meals of all time, but this blew it out of the water. Eggy Crumpets come topped with homemade chilli jam, grilled halloumi, fresh chilli and ketchup. Does it sound disgusting to you? Well, it's not. It's a masterpiece. The dish is so full of flavour that is is hard not to crave more as soon as you have finished. Soon after, we enjoyed the Brunch Bap. 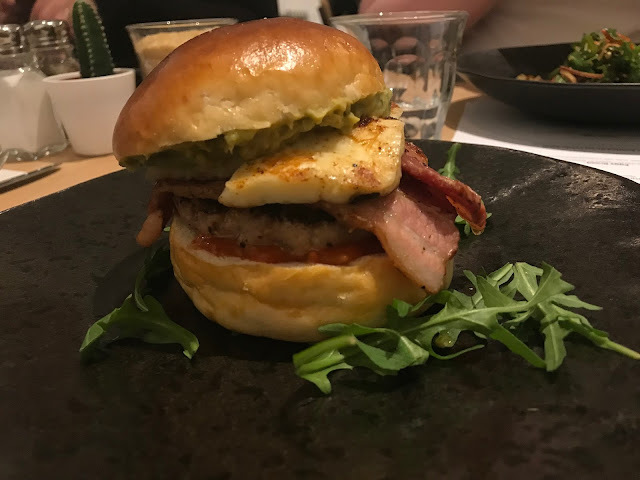 The Brunch Bap is a sage patty with avo hummus, grilled halloumi and smoked streaky bacon. It is essentially a mega posh McMuffin with a hipster twist. It was totally delicious, and also very filling. We ended our Brunch dishes with Aussie Eggs - it was pretty amazing. Aussie Eggs is sourdough toast with poached eggs, chorizo and avo hummus. However, what really made the dish was the pink hollandaise sauce. The sauce is coloured with beetroot, and definitely makes the dish a super exciting one! The Brunch menu also includes a 'Big Brunch', a veggie brunch and a vegan brunch. The best thing though? Wayland's Yard's brunch is served all day - now that's what I like! So if you're not in a lunch kind of mood, you know where to head to during your lunch break. I can't recommend Wayland's Yard enough. It is fresh, fun and adds something new and cool to the area. With it only being a short walk from both Snow Hill and New Street too, it is in a great location and the perfect place to go to try something completely new. Wayland's Yard is open seven days a week, Mon-Fri 7am-6pm, Saturday 8am-6pm and Sunday 9am-5pm. 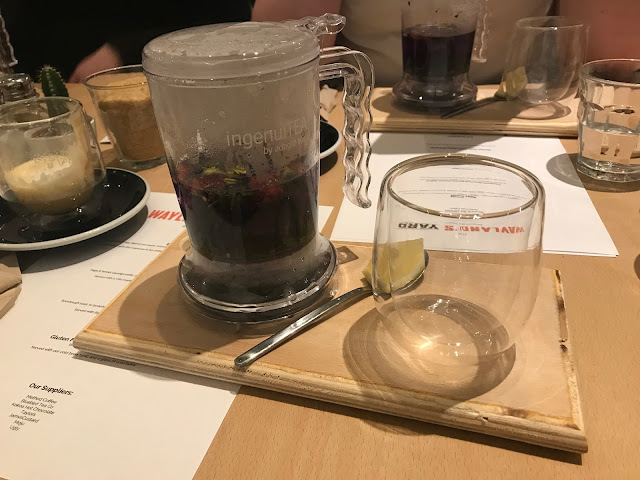 *I was invited along to try Wayland's Yard brunch menu with fellow Brum Bloggers. Therefore, I tried the dishes free of charge, but this does not impact how much I did actually really like the place.